Is Berlenga Island Worth Visiting? Should You Bother Visiting Berlenga Island? I used to have a phobia of birds. 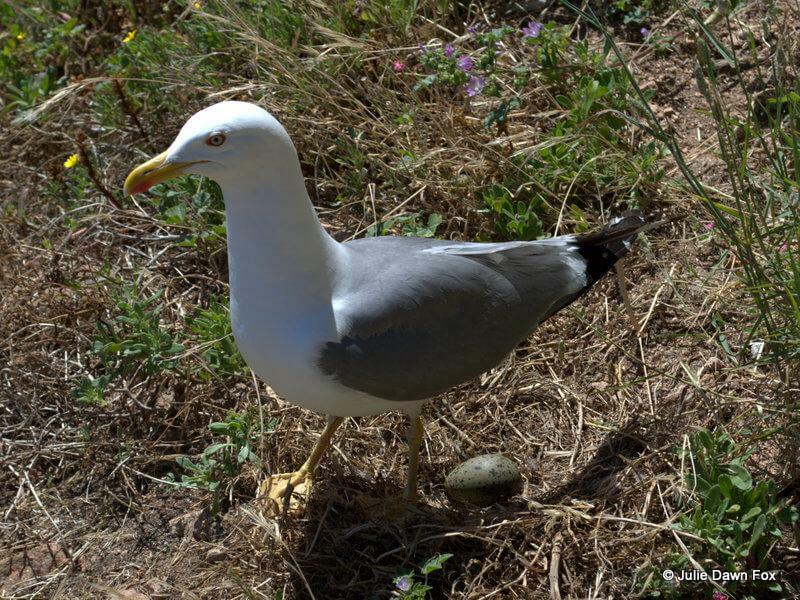 I’m over it now, but when I first heard that Berlenga Island was a nature reserve with a huge seagull population, I had misgivings about going there. Curiosity and a few glowing reports of its natural beauty eventually got the better of me so I took a friend to see what all the fuss is about. Was it worth going? The short answer is yes! Berlenga is about an hour north of Lisbon in what’s known as the Silver Coast of Portugal, just off the coast of the fishing town of Peniche. Here it is on Google Maps. 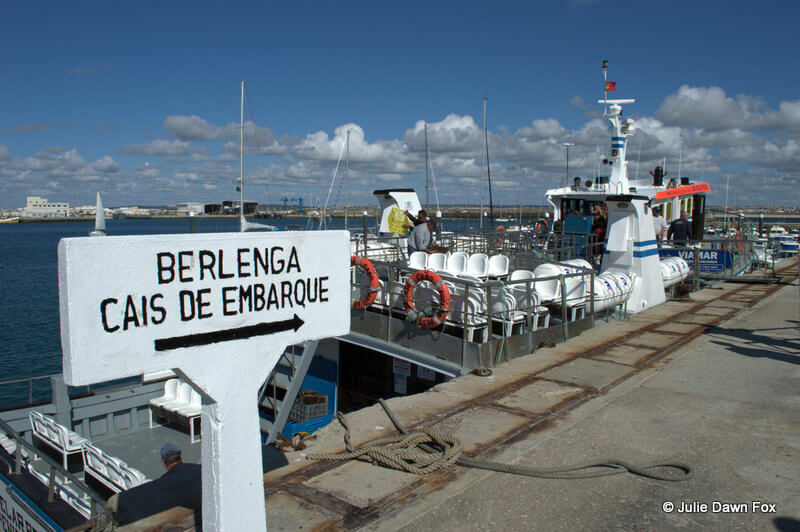 During the summer season, which is roughly the end of May to mid-September, several boat companies offer a ferry service from Peniche Marina to Berlenga, the main island in the group. If you’re visiting in peak periods, it’s probably a good idea to make a reservation online or buy a ticket in advance from one of the cabins at the marina. We went with Viamar, joining a rowdy party of possibly Romanian tourists. At the start of the voyage, the men were showing off and kidding around. That didn’t last for long. As we left the weird rock formations of Peniche behind, the violent lurches of the ferry forced everyone to cling on to their seats. No wonder the boats don’t run in winter! I didn’t mind the rocking too much; it reminded me of a roller coaster ride in the rain. If you suffer from seasickness, however, take tablets before you travel. You can visit Berlenga as an organised day trip from Lisbon. Click on a tour for more details and availability. The views of colourful craggy cliffs on arrival compensated for the choppy ride, as did the turquoise waters of the bay we docked in. By this point, we were more than happy to see the tour group disappearing up the hill towards the café, leaving us to share the tiny beach with the seagulls while we ate our sandwiches. If you go to the beach, make sure you check where you’re putting your stuff as the sand is covered in seagull crap. The clear water looked inviting and the beach is sheltered but we’re talking Atlantic Ocean in May here. Neither of us were brave or hot enough for more than a quick paddle. The whole island is a nature reserve and home to several protected species of birds and plants. For this reason, you shouldn’t stray from the marked paths. We wouldn’t have dared, even if tempted. The seagulls we passed looked and sounded quite menacing, largely because they were protecting their eggs. Be aware that with this many seagulls, the chances of getting splattered by one is high. We didn’t have time to walk all of the trails on the island but we dutifully climbed down and then, much more slowly, back up the steps to the fort of St John the Baptist. If you’re looking for photo opportunities, this is the place to come. The walkway out the the fort takes you past arches, coves and enticingly clear water with little motor boats bobbing patiently. The highlight for me was the last section we walked. After struggling back up from the fort, we decided to explore a little further and discovered a gorgeous landscape covered with golden grasses, strange yellow tree-like flowers and pinky purple ones. On one side of the island, several islets rose out of the glistening water and on the other, we could see some impressive caves. We had four hours on the island, which was plenty of time for a bite to eat and a pleasant walk but not enough to take a trip on one of the glass-bottomed boats that take you along the coastline to explore the various caves. Had it been more obvious when trips were due to depart, we might have tried to work around it but we were happy enough with our walk. In the height of summer, boat trips are much more frequent. There are apparently several sunken wrecks around the island, despite its lighthouse, making diving an intriguing option. You can also go snorkelling, either by bringing your own gear or through a tour operator. Stand up paddling, kayaking and dolphin watching can be arranged in advance, too. This is a nature reserve with extremely limited services. There is a café restaurant called Mar e Sol near the harbour, and I believe there is now one inside the fort. Other than that, you’ll need to bring your own supplies and preferably take your rubbish home with you. You can stay overnight if you arrange it well in advance. There’s a municipal campsite and a few rooms at the restaurant. I’m not sure what the current situation is with the fort. When I visited, it was being done up but I haven’t been able to find out what, if any, accommodation it now provides. An alternative base from which to explore the island and nearby Silver Coast towns would be Óbidos. 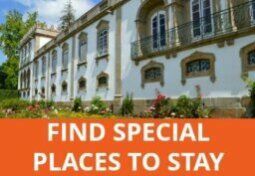 Find out where to stay in and around Óbidos in this post. Alternatively, you could spend a few days in or around Peniche and explore the town and other places nearby, such as the beautiful medieval town of Óbidos and the beaches of Foz de Arelho lagoon. 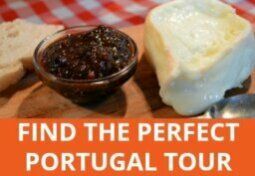 Looking for a Portugal guide book? As for Portuguese phrasebooks, the best of the bunch is probably the Lonely Planet Portuguese Phrasebook & Dictionary, which has sections on eating and drinking as well as all the functional language you’d expect and help with pronunciation. Do you have recommendations for the speed boats that go to a Berlenga? I am looking for company websites for these. 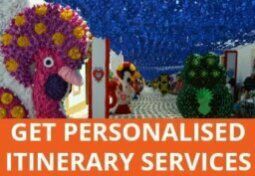 Are these able to be booked in advance? I only know of the ferry website. Amanda – I suggest you check out the contacts in the comment below. I don’t know any of them but they are apparently good enough for the local tourist office to suggest. Hi Richard, it would be very much weather dependent but you could try contacting local boat companies to see if they would be willing to take you. Hi Ian, I think the ferry trip is about 30 minutes. Hello Julie! Thanks for the great review. So, it’s set, we’ll go see the Berlengas! There is, it seems, an old fort there where you can stay for the night. Do you know of a way to get in contact with them to make a reservation? I am planning to visit here and was just wondering if you knew how to (or where to) reserve a boat journey online? We are wanting to go during june. Glad you all had a good time, Denise. I like to think I would have enjoyed the ‘rib’ but I’m not so sure. The ferry was quite an adventure! Hello Julie, I love reading your blogs. Just to let you know, I visited Berlengas last year during my stay in Portugal. I was curious to see the island up close as I can see it from my balcony on a clear day. I loved the place, especially the thousands of birds flying about. It reminded me of that Hitchcock movie, “The birds”. The views were breathtaking. Something that did annoy me was seeing a group of young Portuguese “showering” with shampoos, conditioners and body wash directly into the lovely little bay where people swim. I know it sounds bizarre but I was alarmed at seeing all those toxic substances going into the sea water which is supposed to be a protected nature reserve. I was unable to walk away without saying something but it made no difference, they could not see anything wrong with it. There are pubilc showers available near the little cafe but they preferred to do it ‘alfresco’. Just to let you know, there is accomodation available at the old fort. I did not look at it but it is supposed to be quite nice from what I have heard. I would also like to suggest that anyone going to Berlengas check the type of boat they are booking for the journey. I went twice, the first trip being on a regular boat and to my sister’s horror, the second trip was on a 10 seater motorised rubber dinghy! Needless to say, it was a hair raising, wet, cold and scary trip. My poor sister was so frightened, she told me later that she thought we would never reach dry land! Hi Rosanna, thanks for sharing your experiences, even if they weren’t all pleasant. I really don’t fancy the dinghy! 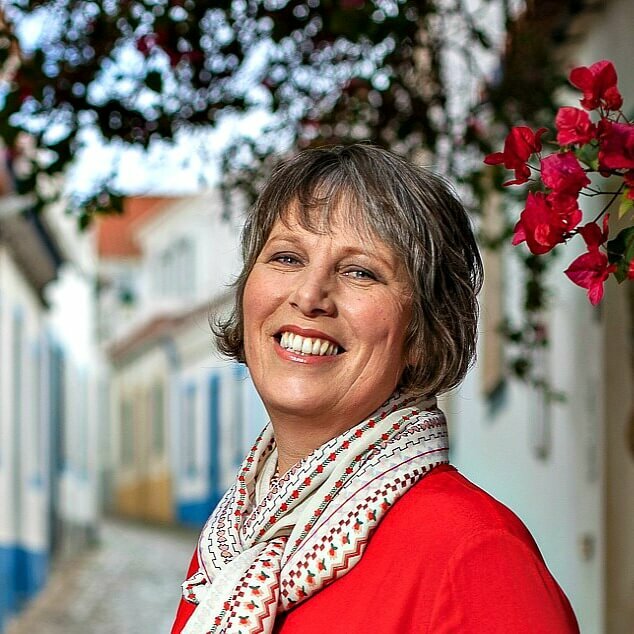 Julie, love your reviews and they are helping us to build up a list of places we want to see when we get around to travelling round Portugal. Can I offer one suggestion to make them even better for relative newcomers like me? A location marker on an outline map of Portugal would be a great help or alternatively, a sentence that gives an idiot-guide locator. Sorry, John. I usually include a link to Google maps but I forgot in this case. I’ll update the post with one now.